Jeremy Burgess, Head of International Student Recruitment and Assistant Director, International Office at the University of Warwick, UK visited Lahore School of Economics, Main Campus and gave a counseling presentation on postgraduate courses, entry requirements and scholarship opportunities being offered at Warwick for 2012 entry. The presentation was attended by a large number of undergraduate and graduate students followed by an interactive questions and answers session - Saman Khan. 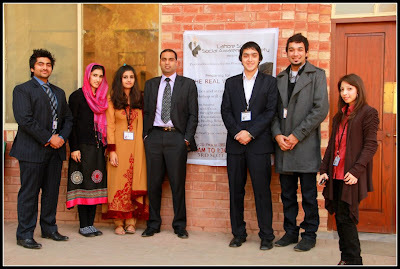 Lahore School Social Awareness Society arranged its second workshop on Preparing Yourself for The real World on January 20, 2012. Naveed Jamil, an Australian, Victoria University graduate, a certified public accountant, and a successful business executive who manages his own accounting firm was the guest speaker. Naveed Jamil explained how everything around us is made of energy, and the two types of energy that exists within every human being: a kind of a raw emotional streak called ‘darkness’, and a state of relief and calm, known as ‘light” and how both can be channelized into productive outlets to attract positive things in life and to achieve "peace, contentment and enlightenment." Naveed Jamil also touched areas like Secrets to Success, How to Start Your Own Business From Scratch, Dealing with Conflict/ Crisis, Making the right choices, Realistic Expectations Setting and Building Healthy Relationships. The workshop was attended by a large number of students and followed by an interactive questions and answers session. 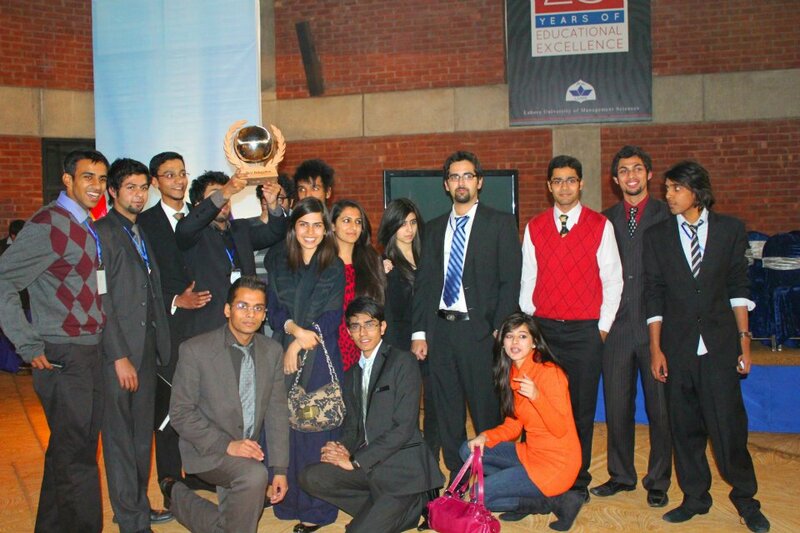 Lahore School of Economics won the coveted LUMUN Best Delegation trophy for the second consecutive year. 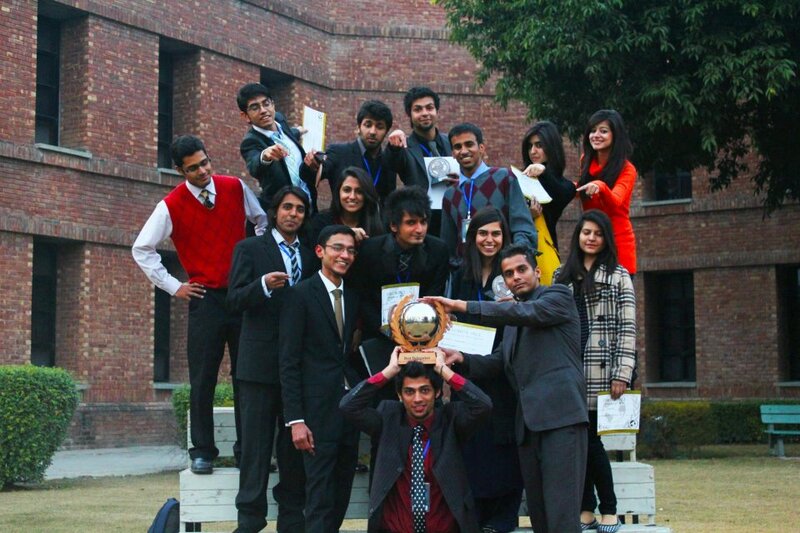 LUMUN enjoys the distinction of being the largest Model United Nations Conferences in all of Asia. This year, 2012, over 2000 individuals from over 100 institutions across the country gathered in LUMS to simulate various United Nation committees. Prominent amongst the universities were Lahore School, GIKI, NUST, LUMS, PU, FAST, BNU, IQRA, AIMC, Bharia University, Kinnaird College, Government College and UET. Nadeem Rehmani, the Director Operations and Vice President at Metro Cash n Carry was invited to give a talk to MBA and MSc Economics students on January 19, 2012. The lecture was focused on sales force management. He started his presentation showing the merger of Metro and Makro and talked about the products, stores and service. It was a detailed presentation which highlighted the fact that Metro Cash n Carry wholesale was exclusively for professional customers. Highly interactive lecture was attended by faculty members in addition to students. 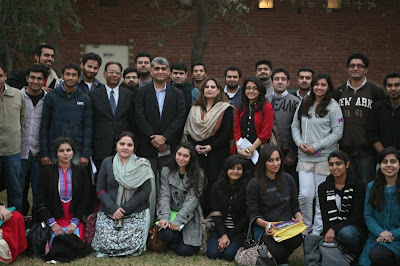 Umer Lodhi, the Customer Management Director and Vice President at Metro Cash n Carry Pakistan gave a talk to MBA and MSc Economics students on Thursday, January 19, 2012. 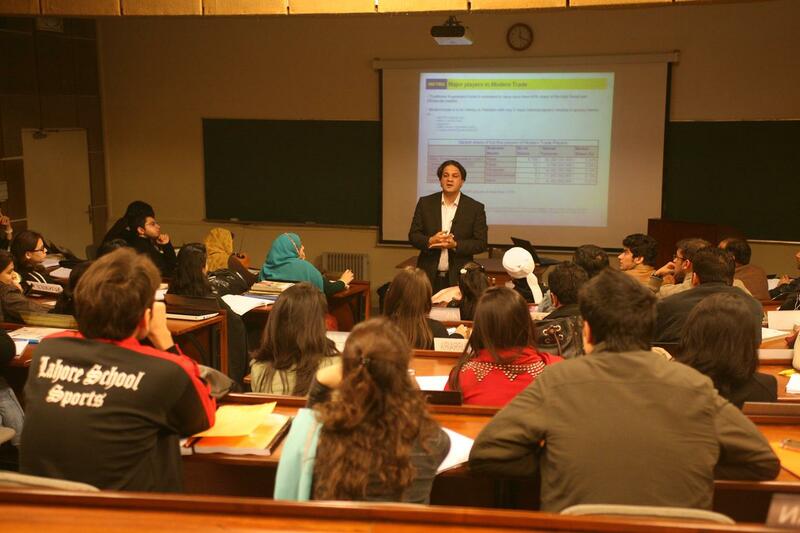 His interactive lecture was focused on modern trade and retail industry of Pakistan. He also briefed the students on the Quality Assurance, pricing strategy, and major suppliers of Metro in detail. It was an informative and motivating talk and the students asked useful questions from the speaker. Lahore School of Economics won the Sports Festival at LUMS, 2012. Lahore School participated in Volleyball, futsol, Badminton, cricket, tennis, squash and basketball for male and female sports and won all of them. Lahore School sports squad competed and won against FAST, BNU, LUMS, PAC, IOBM, University of Peshawar, University of Punjab, GCU and other sports clubs from Karachi and Peshawar. 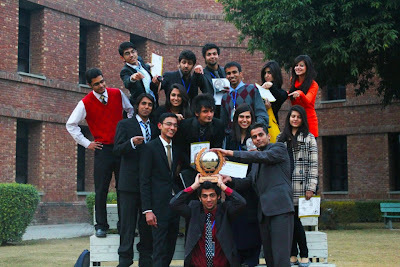 Lahore School of Economics’ Ninth Annual Convocation was held at the main campus on Jan 14, 2012. 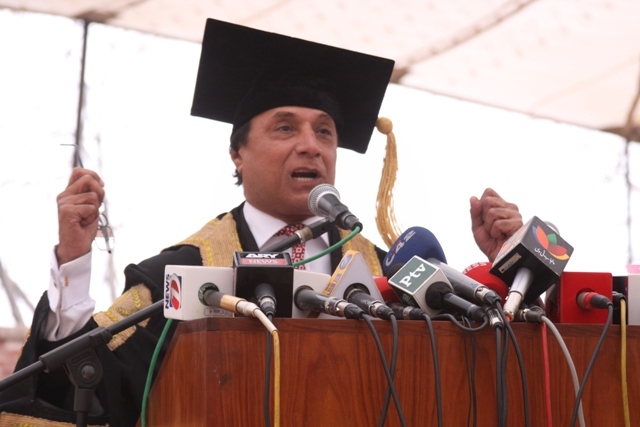 Sardar Latif Khan Khosa, the Governor Punjab conferred degrees and awards to 809 graduating students of MPhil, MS Economics, MSc Economics (11), Masters in Business Administration (180), BSc Economics, Bachelors of Business Administration (600) and Master of Business Administration (Executive). 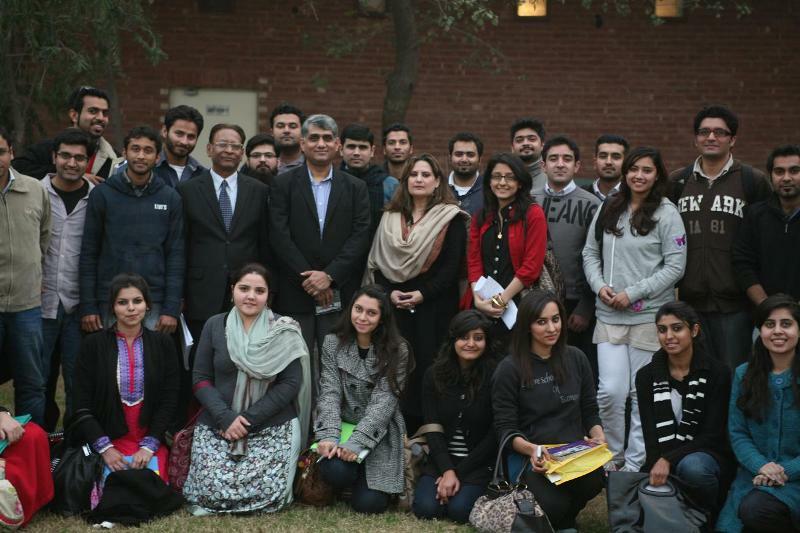 Sardar Latif Khosa lauded the role of Lahore School of Economics in core specilization of Economics, Finance, Business Administration and related fields of studies including Social Sciences, Mathematics and Statistics, Environment, Media Studies and Art and Design. The Governor also notes the Lahore School of Economics Research Program that is focused on improving the economic well being of the people of Pakistan. Earlier, Dr. Shahid Amjad Chaudhry, the Chairman and the Rector Lahore School of Economics presented annual report of the School and highlighted achievements during the academic year. 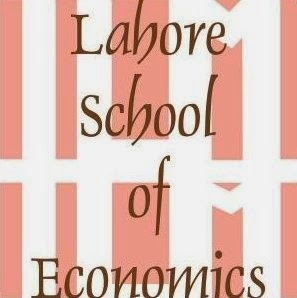 The Lahore School of Economics, Chartered in 1997, has the distinction of being the first private sector not-for-profit degree granting institution established by the Government of the Punjab. Since then we have matured to be an established institution of higher learning with a wide range of academic disciplines encompassing economics, business, finance, social sciences, media studies art and design, mathematics, statistics and environmental sciences at both the undergraduate and post graduate levels. The Lahore School has currently 3266 students in these disciplines with 66 doing their M.Phil and Ph.D, 457 doing their masters and 2643 completing a 4 years bachelors degree. Lahore School of Economics was declared runner up in the Global Investment Research Challenge (GIRC) hosted by CFA Institute at Avari Towers Karachi on January 2, 2012. 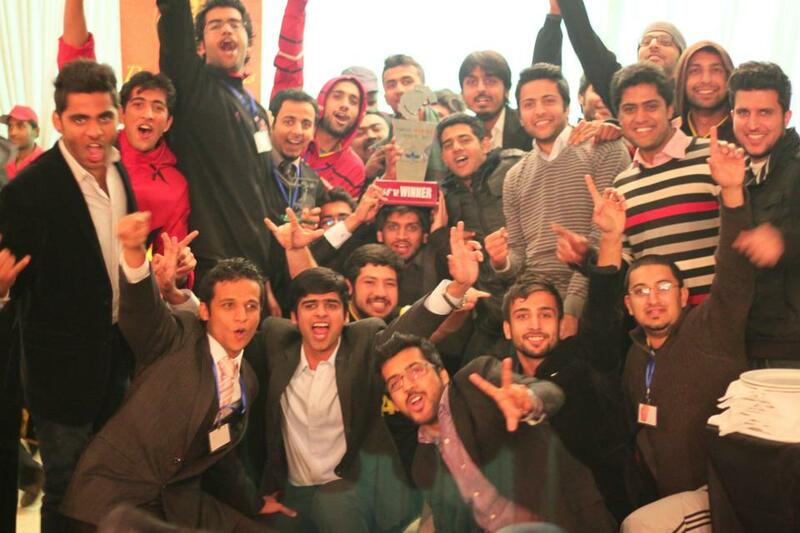 This elite competition in finance takes place every year and Lahore School made its strong mark by securing second position in its very first participation among reputable business schools from all over Pakistan. 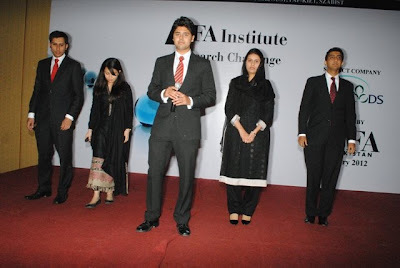 The team of Lahore School of Economics comprised of Abdul Wahab (MBA II), Adam Zia (MBA II) Omair Anwar (MBA II), Rafia Pervaiz (MBA II) and Mahnoor Asif (BSc IV). 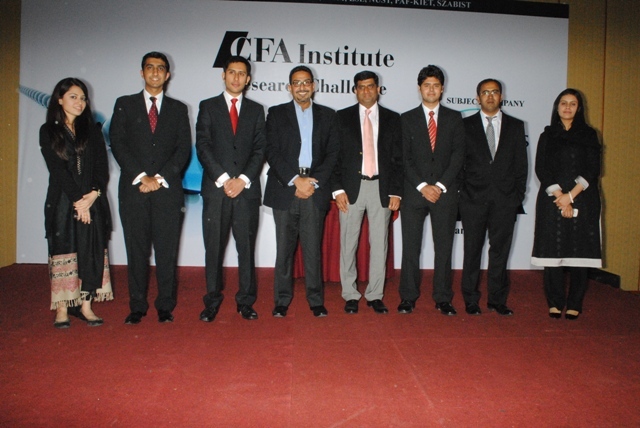 The purpose of this educational initiative by CFA institute is to promote best practices in equity research through mentoring and development of analytical, communication and presentation skills. The subject company this year was Engro Foods on which team Lahore School prepared an equity research report and subsequently the findings and recommendations were defended in a presentation that was made in front of top notch professionals from financial industry. Dr Nawazish Mirza, Associate Professor of Finance, was the mentor for Lahore School Team. Dr Nawazish Mirza applauds this performance. He says that it’s a proud moment for Finance faculty at Lahore School and a remarkable achievement that Lahore School of Economics proved its quality in front of cream of financial crop. I am proud of our team that went through a rigorous process of training, financial modeling, analysis, report writing and finally presentation. We were confident to win but losing by marginal two marks is not bad for our first ever appearance, especially when we scored highest on the report. The team surely had hard times coping with me but I am sure the outcome has paid off for their hard work, frustration and sleepless nights. Let us not forget that they were simultaneously engaged in their regular semester assignments, quizzes, projects, exams etc. 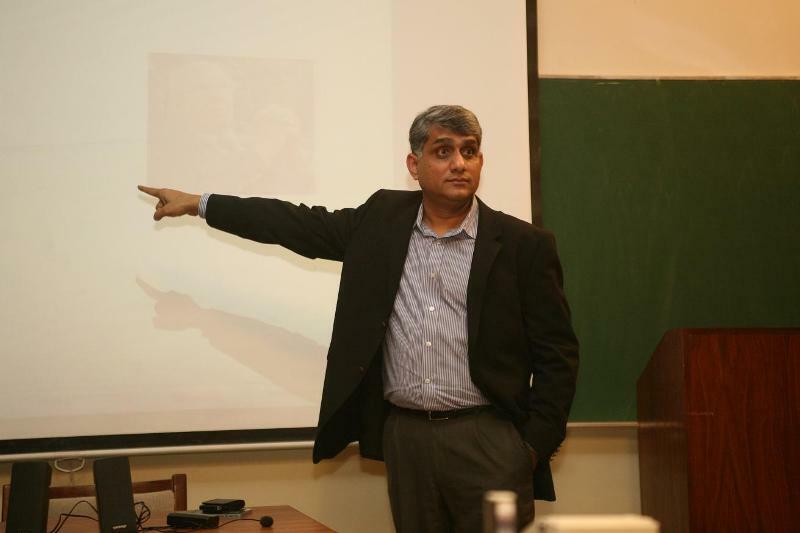 Ali Shah, alumni 2010 who is working as Planning and Research Manager at Grey Media Marketing Company gave a talk to the graduating class of MBA. He talked about his own experience in the job market as a fresh graduate and also the expectations of the employer from the fresh graduates. 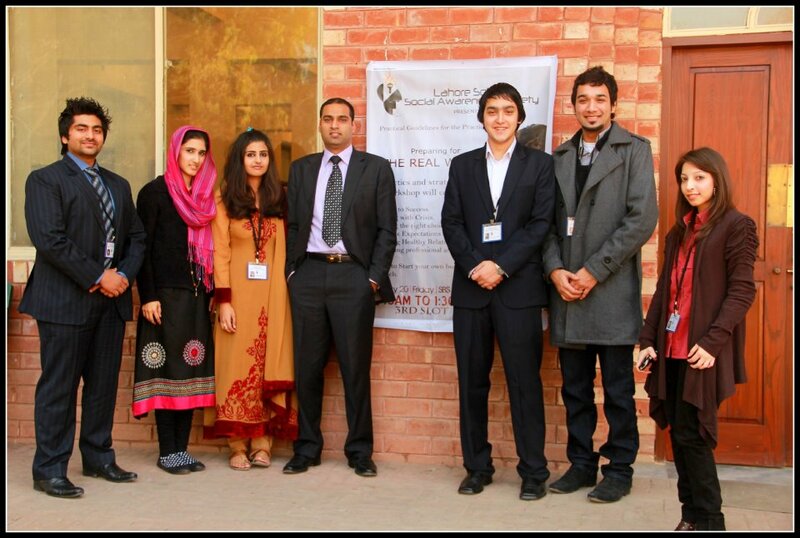 He also shared his experience at the Lahore School as a student and gave some tips on how to give a good interview. The session was attended by students of MBA and MSc (Economics), staff and faculty. Five undergraduate students from the Lahore School of Economics were at Bahcesehir University, Istanbul, Turkey for a semester under the Students Exchange Program between both the institutions. Fatima Riyaz, Maria Nasir, Maham Bajwa, Aiman Sarmad, Saba Fazal from the Lahore School attended the Winter Term 2011 at Bahcesehir University on Bahcesehir University’s Scholarship. Lahore School of Economics Convocation 2012 is being held on Saturday 14, 2012 at the Lahore School Main Campus, Burki Road. All recipients of the MPhil, MS, MBA, MSc, BBA (Hons), and BSc (Hons) degrees for the year 2011 are required to contact the School [(36560939 Masters Program) and (36560916 Bachelors Program)] to register for receipt of their degrees on Friday, Jan 13, 2012between 10:00AM to 1:00 PM.